There are a bunch of smiling faces as we bring to a close the annual Turkey Surprise Event of the Norristown Fire Department here at The Montgomery Hose Fire Company. SERVPRO is both honored and proud to help sponsor this awesome gathering of our local community members. The white bags in the front of the Photo are filled with Turkeys, Fixins, and Pies for over 100 families to enjoy at Thanksgiving. 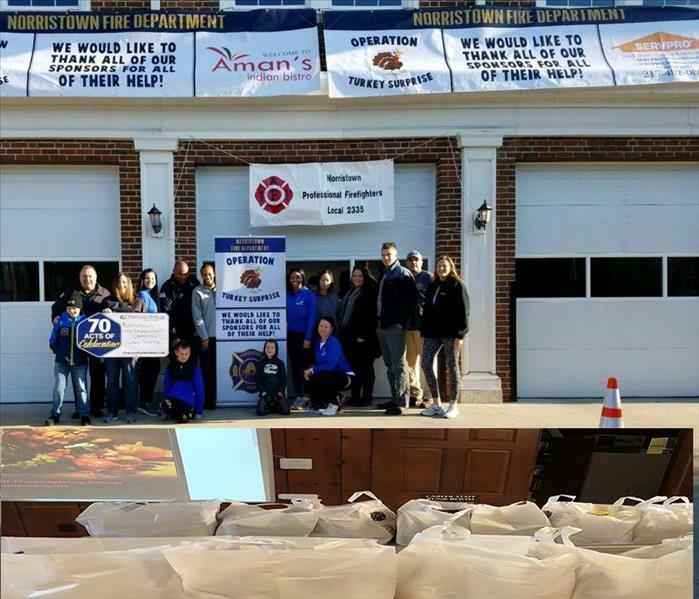 We volunteer every year to help fill those bags and even provide breakfast and lunch to the helpers, sponsors, and most importantly, our FireFighters--Our First Responders. Let's all have a Thankful and safe day this Nov. 22, 2018. 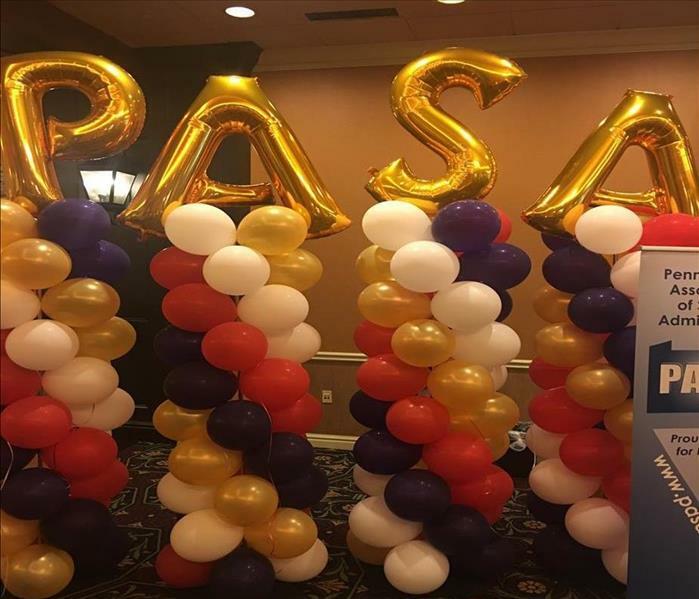 Our Office Manager of SERVPRO of Norristown, Jessica Signora, participated in the PASA-PSBA School Leadership Conference Held in Hershey, PA. Many topics were discussed to improve the equitable chance for all students to reach their full potential. 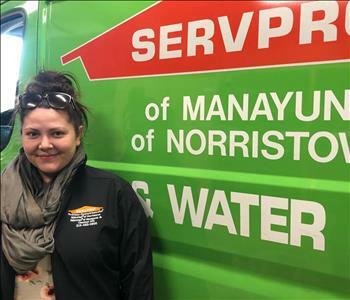 Our booth provided not only Jessica's enthusiasm for this important event but also some information concerning SERVPRO's industry-leading cleanup and restoration services. Many school buildings benefit from our water removal and cleaning to ensure a healthy environment for our students. Pop a balloon and maybe find a Hershey's treat, or not! Trick or Treat. We soon ran out of Hershey's chocolate, but we all know where to get more! Take a pencil from our nearby table and jot down (610) 272-8520 in case you need help in the future. SERVPRO of Norristown team members were in attendance Thursday night when the Philadelphia Eagles opened the season with a victory over the Falcons. Lincoln Financial Stadium in Philadelphia was the site of the playoff rematch. After a short weather delay, fans watched the unveiling of the 2017 Super Bowl Championship banner. 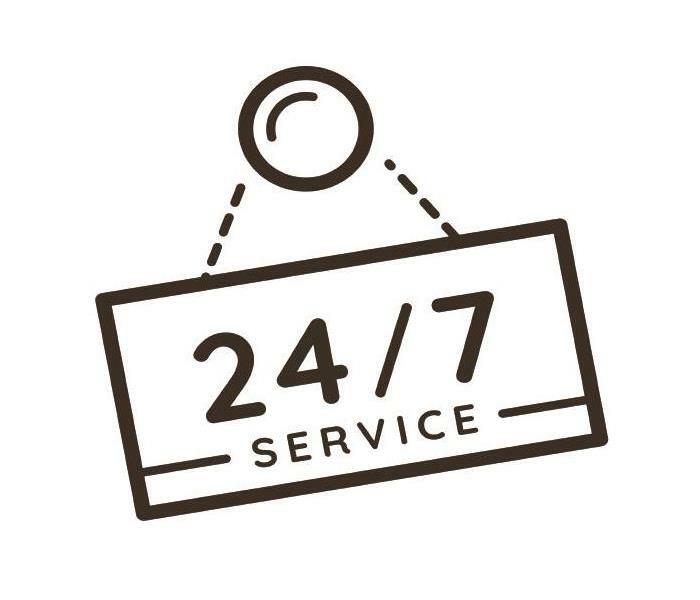 As a locally owned business, our team members live and work in the local community. We support the Eagles and various charities in the area. 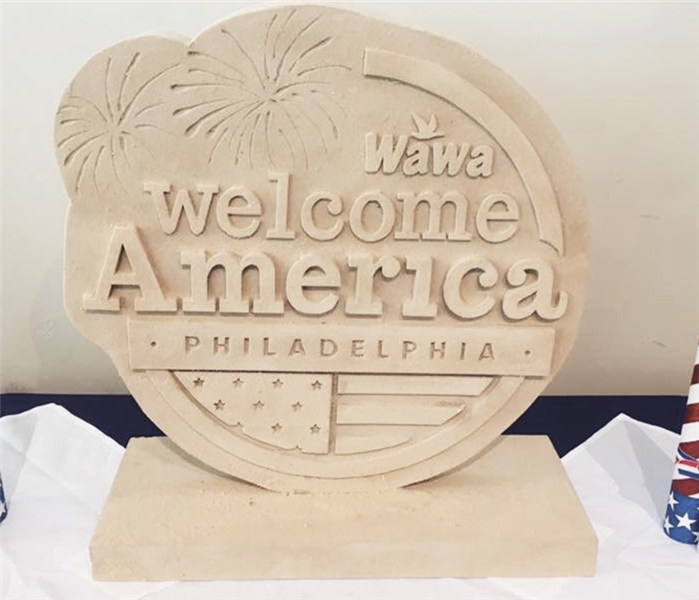 A dozen of our SERVPRO employees will be volunteering to take down the Wawa Welcome America’s Sand Sculpture at The Shops At Liberty Place on August 15th, 2018. We will be able to bag more than 1,500 flood bags of sand and donate them to the Montgomery County Office of Emergency Management to be used for disaster relief. Once we are done dismantling the sand sculpture, Liberty place will go back to its original condition, "Like it never even happened." We are honored and proud to help our local community! 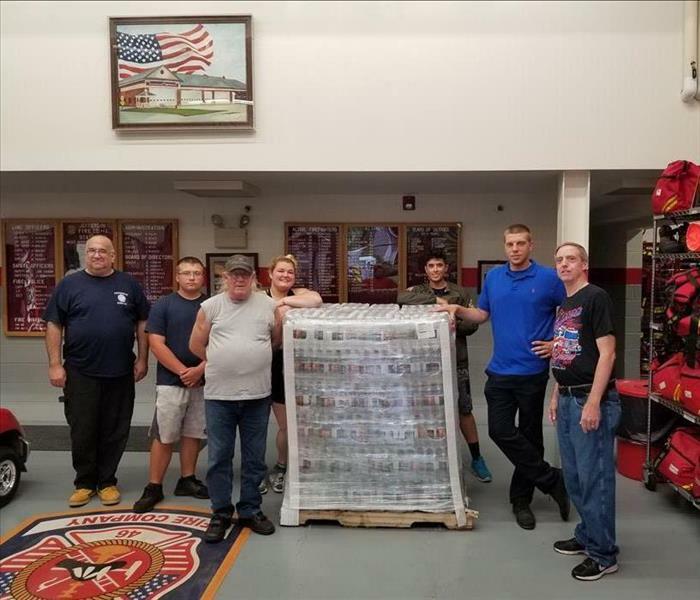 Our team delivered a pallet full of water bottles to the Jefferson Fire Company 1 staff in West Norriton. This is our way of saying thank you to them for all they do to protect the community. Not only do these guys volunteer to help fight fires, but they also risk their lives doing so. THANK YOU! SERVPRO of Norristown always supports the fire departments in the local community! The Municipal Council of Norristown held a press conference to kick-off a series of heavy-duty cleanups throughout our community. Our SERVPRO of Norristown team is participating alongside other local organizations. We will be cleaning up multiple parks and dumping areas around the town in efforts to make it cleaner for all residents to enjoy. Together, we will keep Norristown Beautiful! 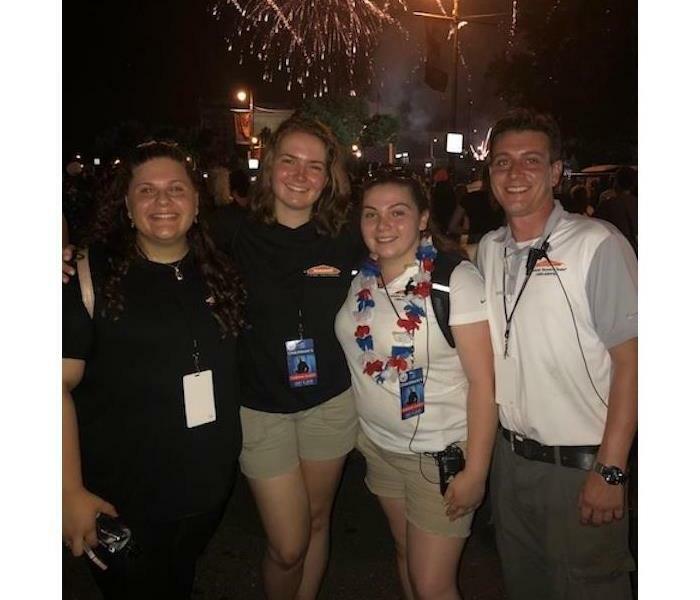 The SERVPRO of Norristown team had such a fantastic time at this year's Fourth of July WaWa Welcome America Festival! As you know, we partnered with several other SERVPRO franchises to help sponsor this event. We had a huge tent set up, gave out goodies, and donated trashcans to help keep the streets clean. All in all, it was a great turnout, and we were happy to have participated. Our team is proud to support the community and the events it has to offer! BIG NEWS! 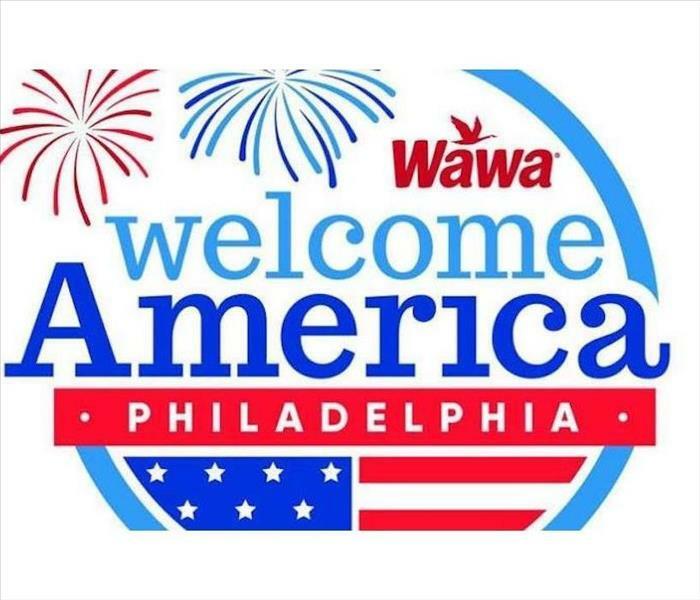 We are proud to announce that we are teaming up with fellow SERVPRO franchises and will serve as a sponsor at the upcoming WaWa Welcome America Festival! The festival will be from June 28th - July 4th. It is FREE and open to the public. Come and enjoy multiple fireworks displays, free concerts, free museum days, and other community events. You can even stop by our booth and show your support for our First Responders. See you there! 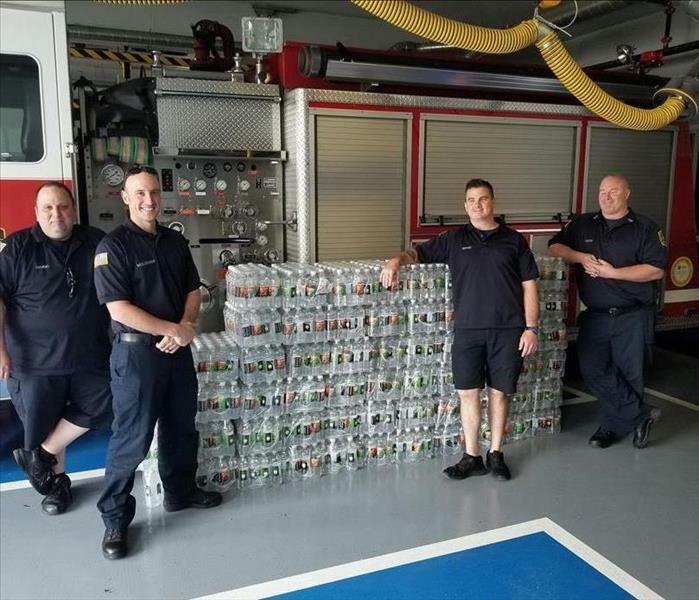 Our SERVPRO of Norristown team recently delivered a pallet of water to the Norristown Fire Department as a part of our "Hydrating Heroes" donation program. These First Responders risk their lives every day to help those in need, so this is the least we could do for them. Thank you for serving our local community so well. You guys are true heroes! 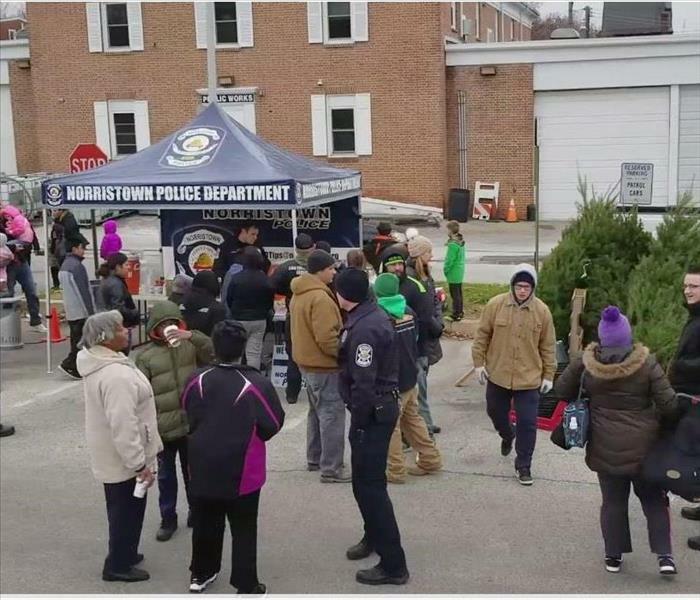 The Norristown Police Department, and the local churches and schools, sponsored this Christmas Season Happening. 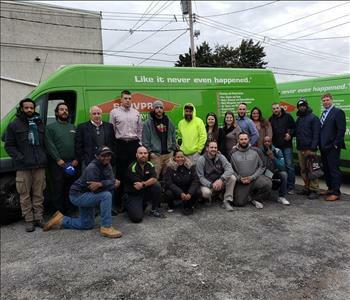 Our SERVPRO of Norristown owner, Brian Turpin, pulled up in a Green Fleet trailer with 100 Christmas trees and gift cards from Walmart as presents. Ten of our SERVPRO family passed out cookies and hot chocolate to the smiling children. With the snow falling, and the smell of fresh pine, this is a Joyous Season enjoyed by all. We are honored and proud to contribute to the success and happiness of our neighbors by helping to lift up their spirits this special time of the year. 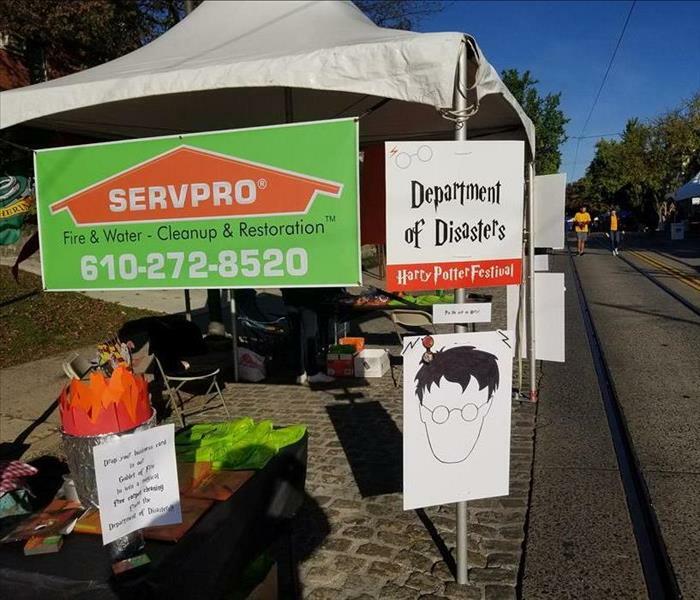 The crew at SERVPRO of Norristown had a great time participating as a sponsor at the 7th annual Chestnut Hill Harry Potter Festival. We had many wizards of all ages at our SERVPRO "Department of Disasters" tent where they were able to enjoy some goodies. We loved seeing our local community work together to make the festival a complete success! Thank you to everyone who attended. And remember, if you find owl droppings in your attic, call our team of wizards, and we'll make it disappear "Like it never even happened." SERVPRO of Norristown will be one of the sponsors at the 6th Annual Benefit for the Brain event on Wednesday, November 8th at the Philadelphia Marriott West. Please join us and support National Alliance On Mental Illness by donating to the organization. 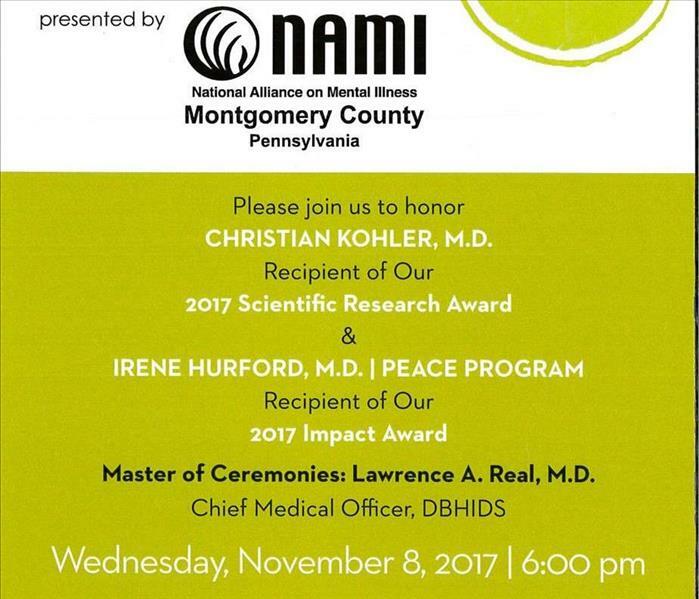 All donations go a long way in helping NAMI of PA Montgomery County to offer no-cost education, advocacy programs, and support to those and their loved ones living with mental illness. The event will be full of live music, a silent auction, and an amazing dinner. We hope to see you there! The 7th annual Chestnut Hill Harry Potter Festival returns to Germantown Avenue with more room to roam, more special treats to eat, and much more fun for the entire family. SERVPRO of Norristown is proud to be a sponsor. The festival includes a new designated family-friendly activity area. Join us over the weekend as the festival promises the same great wizardry wonder of years past. Enjoy a weekend of magical fun including photo booths, performances by aerialists, fortune tellers along Germantown Avenue, and much more. New this year, The Franklin Institute brings Astronomy to Wands & Wizards Night. Join the science museum at Jenks Memorial Playground for a family-friendly “out of this world” evening. The 2017 Chestnut Hill Harry Potter Festival includes two new Beer Gardens and Food Trucks for outdoor dining. We are always ready to support the local community. See you at the festival. SERVPRO and Francis support DECA. 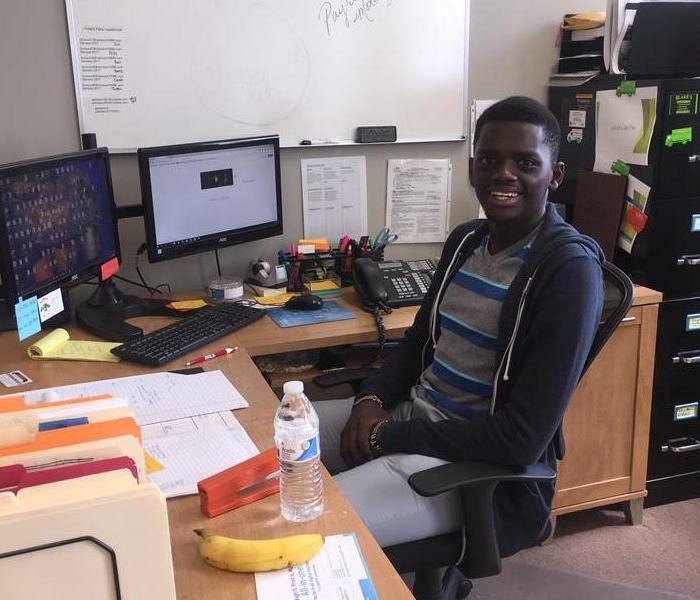 SERVPRO of Norristown would like to introduce you to our intern, Francis Waweru. He graduated from Norristown High School in the spring of 2017. Francis is originally from Kenya and is currently entering his freshman year at Drexel University. We first met Francis when he contacted our owner Brian about sponsoring his DECA team. DECA (Distributive Education Culture of America) is a business club for high school and college students. Francis and his teammates placed first in Districts and the reward was a trip to the State competition. SERVPRO of Norristown was offered the opportunity to be a sponsor and support the team, we gladly accepted. Francis is currently expanding his knowledge while serving as a summer intern with our team. SERVPRO of Norristown is local owned and operated, we support the local business community and residents. 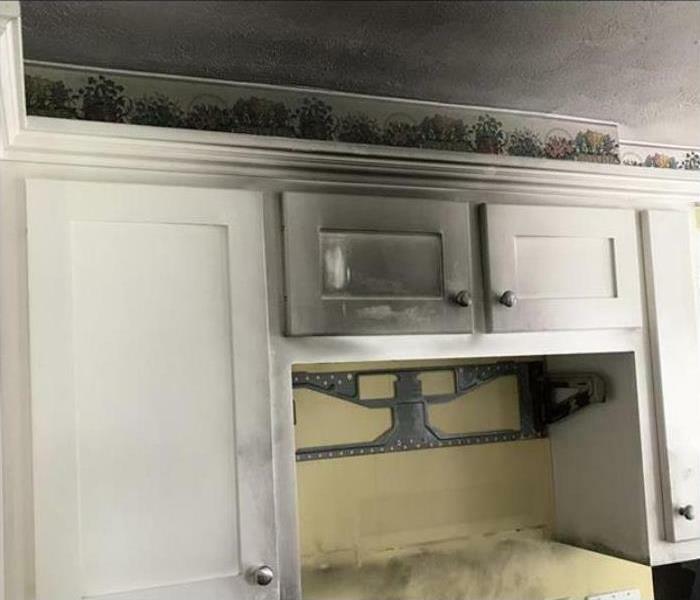 If your Philadelphia area residential or commercial property suffers fire, smoke, mold or water damage, call Francis and our experienced team for a fast response. SERVPRO of Norristown is proud to support Variety – The Children’s Charity of the Delaware Valley. The mission of Variety is to enrich the lives young adults and children with disabilities through educational, vocational, and social programs. These programs encourage self-confidence and independence. 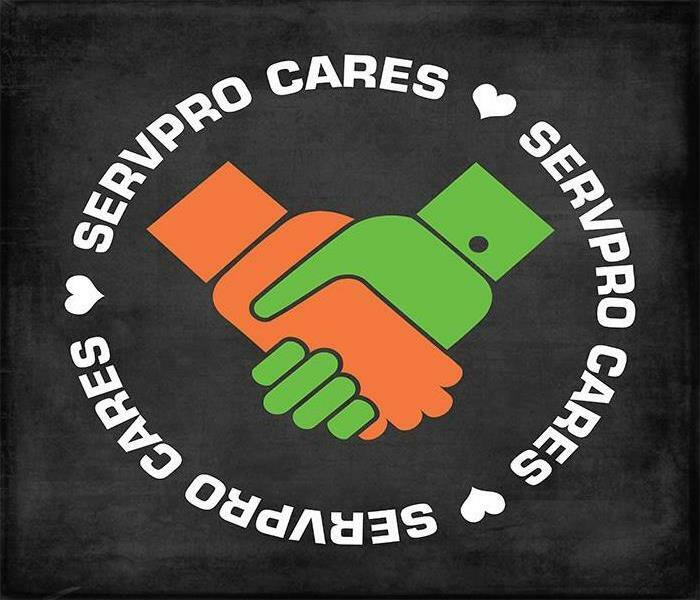 SERVPRO is a big supporter of our community and local charities. 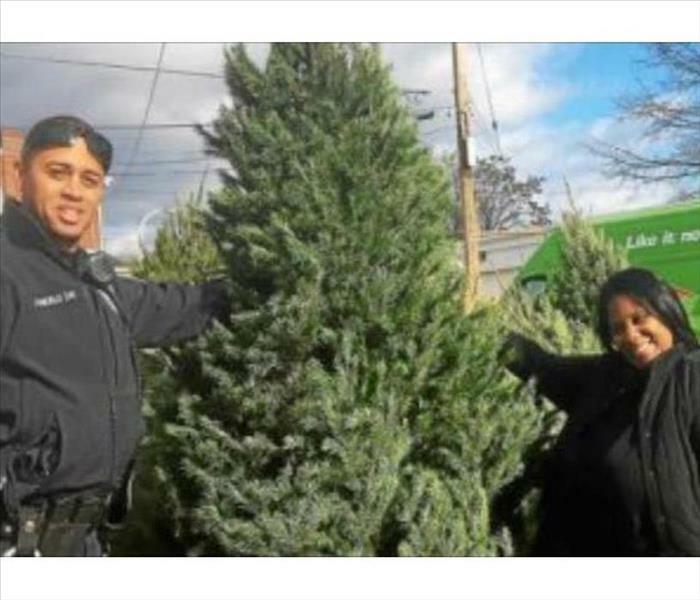 When the Norristown PD put out the call to make the Holiday Season brighter, the response was heart-warming. Brian Turpin, the proud owner of SERVPRO of Norristown and a resident with many community ties, answered the call. He donated and helped distribute 104 Douglas fir trees to the kids needing a little boost to make Christmas a little better. Of course, the standard fare of free cookies and hot chocolate were part of the festive occasion. This spirited gathering was a beneficial way to bring the community together with the police department and even pet a member of the K-9 Corp. Thanks for the coverage from our local newspaper. Also, kudos go out to Fox29 for the broadcast. Mark E. Talbot Sr., Chief of Police stated, "It was a pleasure working with you! I look forward to doing more great things with you in the future." You can also count on SERVPRO to not only spread some joy with free Christmas tree but also a great option if you have a mold, fire, or water damaging event to your property. We proudly work together to make things better. Happy Holidays! !